Course Website: Official Website - Visit Sanctuary Golf Course's official website by clicking on the link provided. 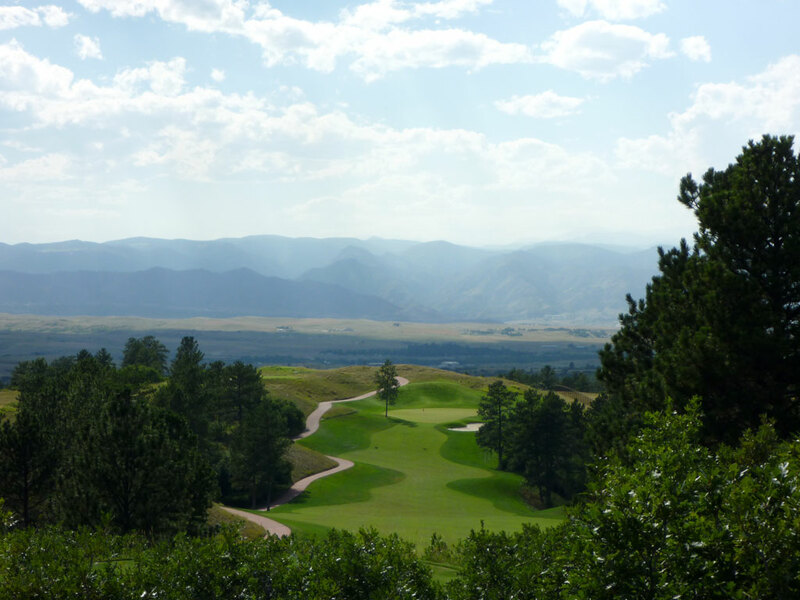 Accolades: Ranked 3rd in Colorado on Golf Course Gurus' Best in State list. What to Expect: Sanctuary is the brainchild of Re/Max International Dave Liniger who had the course built mainly as a venue for hosting charity events. 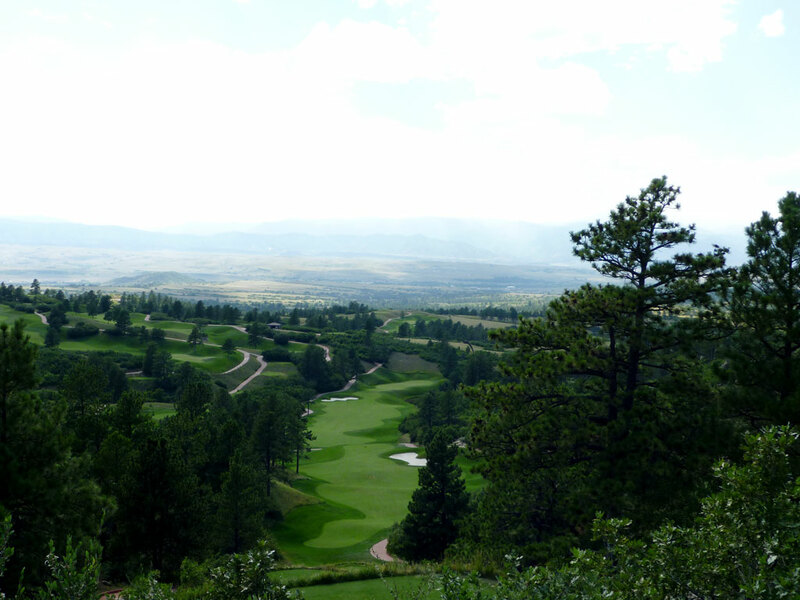 The extreme terrain featuring dramatic elevation changes and panoramic views, originally planned to serve as a horse ranch, was sculped into a beautiful course by one of the only architects that could handle such a project, Jim Engh. 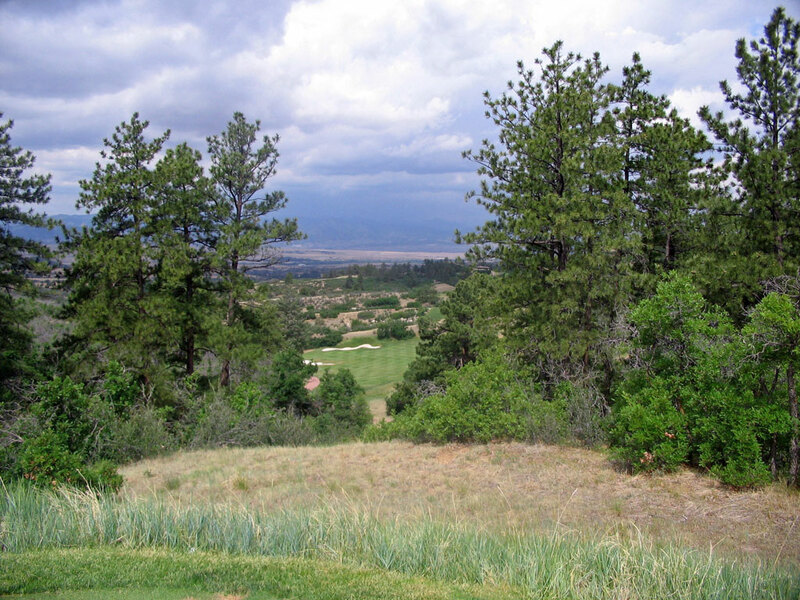 The course features several elevated tee boxes that play down to tree lined fairways and undulated greens. 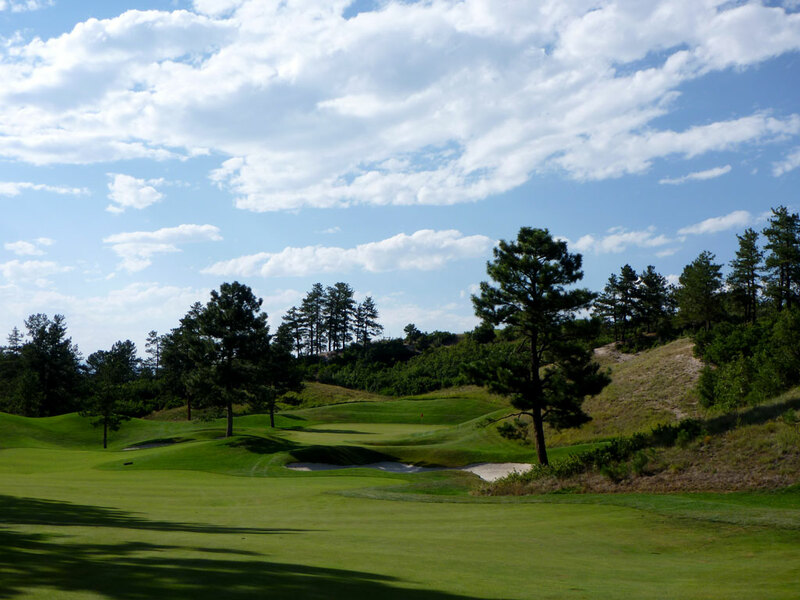 The opening hole sets the mood for the entire round by driving through a "cave" like tunnel before embarking on the opening tee box that features a 185 foot drop to the fairway below. There are also three waterfall features (9th green, 14th green, and 18th green)found throughout the round that add to the beauty of the surroundings. 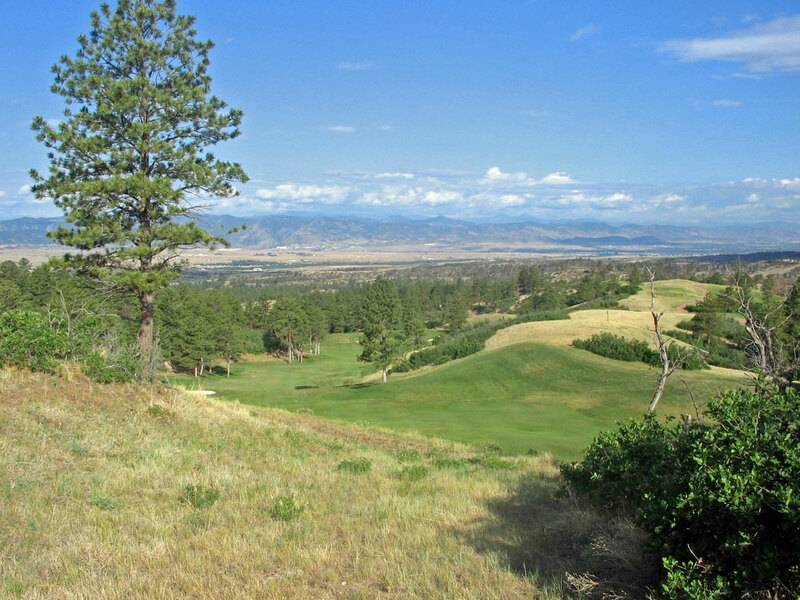 Wildlife frequents the course at this non-residential track that is surrounds by nearly 13,000 acres of dedicated open space and offers a feeling of complete seclusion, hence the name Sanctuary. With a visit to Sanctuary you can expect to take your golf ball on a wild ride through some gorgeous terrian at one of the country's finest golf courses. 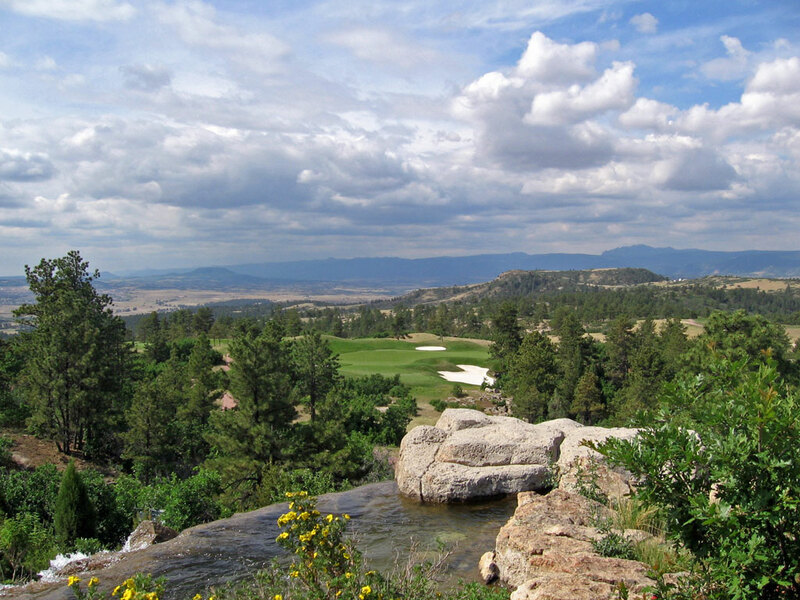 Signature Hole: 1st Hole – 604 Yard Par 5 – The 1st hole at Sanctuary offers one of the most exciting opening tee shots in golf due to the panoramic views of the Castle Rock area coupled with a 185 foot drop off down to the fairway below. 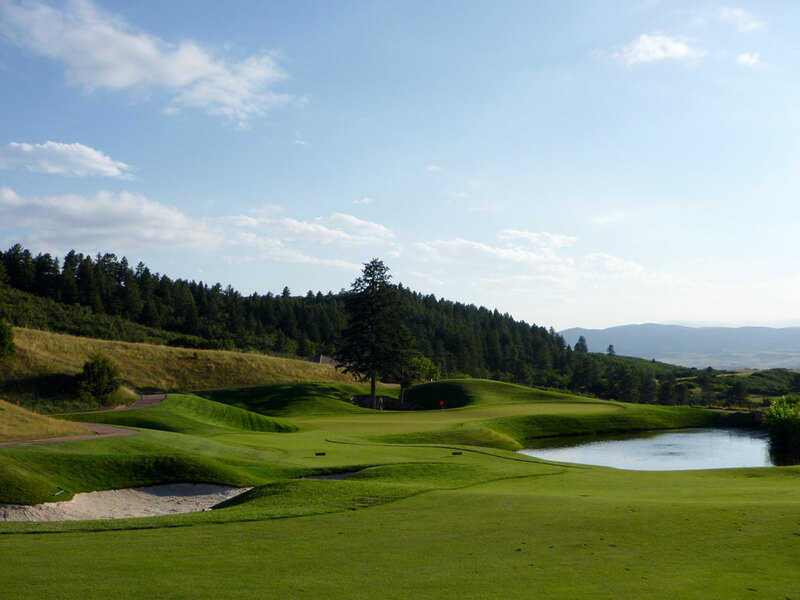 The hole is so stunning that it made Golf Digest's list as one of America's 99 Greatest Holes. When launching your tee ball it is important to avoid the bunker on the right side of the landing area. But even more important than that is steering clear of the pond located on the right side of the green where many wayward approach shots have found a permanent resting place. Best Par 3: 10th Hole – 206 Yards – Sanctuary boasts some picturesque par threes and the unique feature of back-to-back par threes (5th and 6th). However, the best par three is the 206 yard 10th hole that plays away from the waterfall found next to the 9th green and out across a ravine to a challenging putting surface. The green is protected by a large, deep bunker on the inside-right and a smaller pot bunker behind the center of the green. The most difficult pin placement is located in the front right corner of the green which isn't viewable from the tee and is all carry to get there. A pin on the left side of the green is much more accesible with a landing area in front and avoids the spine the divides the green. 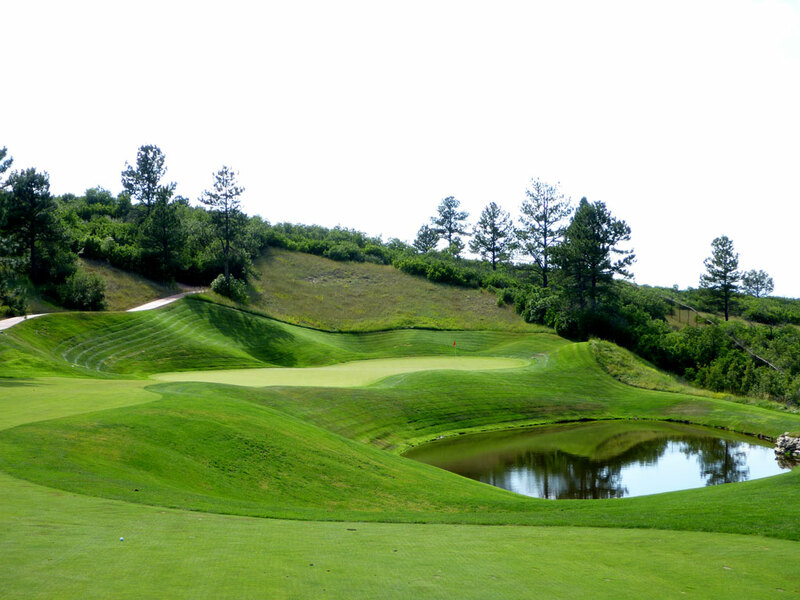 It is a beautiful hole and excellent challenge to start the back nine with. Best Par 4: 13th Hole – 393 Yards – The 13th hole at Sanctuary offers an interesting challenge and panoramic views right off the bat. The hole is a dogleg left that turns sharply towards the green about 100 yards from the putting surface and features a bunker on the inside of the dogleg and one on the outside. A pond rests in front of the green which makes cutting the corner toward the green a dicey proposition and potentially offering your Pro V1 a watery grave. What makes this a great hole is the intimidation right off the get go. The opening between the trees where you need to place your drive is tight, yet there is plenty of fairway out there to land your ball on. With a very bold tee shot you can cut the corner and go for the green, but with a forest of trouble and pond near the green it is a very risky proposition, but for a gambling man it is an intriguing high risk/high reward option you don't get every hole. Best Par 5: 4th Hole – 571 Yards – While many people will point to the 1st hole with a 185 foot drop off the tee or the 15th hole with Engh's signature bunker/rock combination around the green as the finest par five at Sanctuary, I believe the underrated fourth hole deserves some props. This dogleg right hole features a bunker on the outside of the dogleg and a hill on the inside but it is the play after the downhill tee shot where the fun really starts. The conservative play is down to the landing area in front of the green where your approach shot will have to avoid the six bunkers protecting the putting surface. 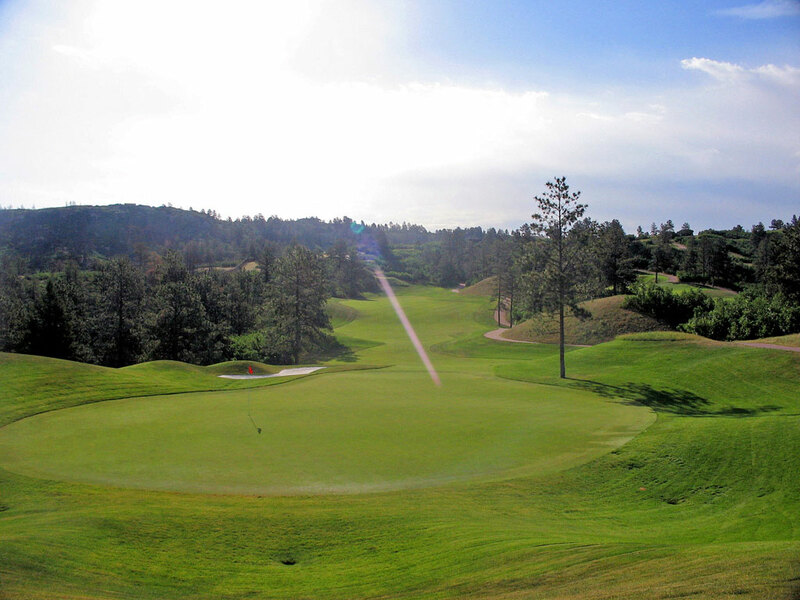 The risky play, and much funner in my opinion, is to rip a blind shot over the hill to the reachable green below. The risk is getting your ball stuck in one of the many bushes resting on the hill and losing it out of play, but the reward is potentially giving yourself an elusive eagle putt. Birdie Time: 16th Hole – 317 Yard Par 4 – In general, a driveable par four or reachable par five offers the best opportunity to score a birdie and Sanctuary is no different. Measuring just 317 yards, the par four 16th hole is a slight dogleg left with a huge landing zone about 100 yards from the green. The fairway tightens up as it travels towards the green and features about a dozen small bunkers to the right. Whether you cut the corner and drive it on the green or layup and give yourself 100 yards to the hole, either scenario works out to be an excellent birdie chance. 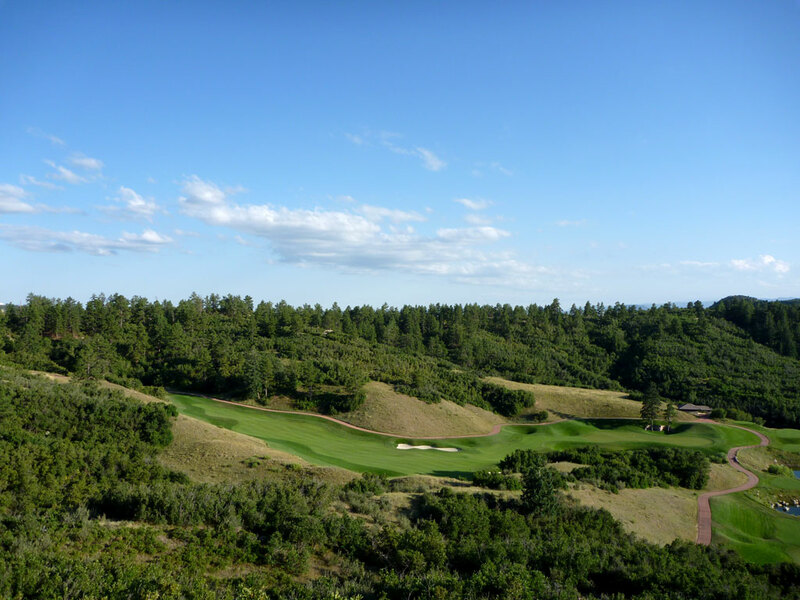 Bogey Beware: 2nd Hole – 458 Yard Par 4 – Due to the severe terrain that Jim Engh was given to build this course, Sanctuary features some tight landing areas and some interesting angles of play. The second hole you are faced with doesn't feature any crazy angles, but is long, straight, and narrow; always a killer combination when trying to avoid bogey. 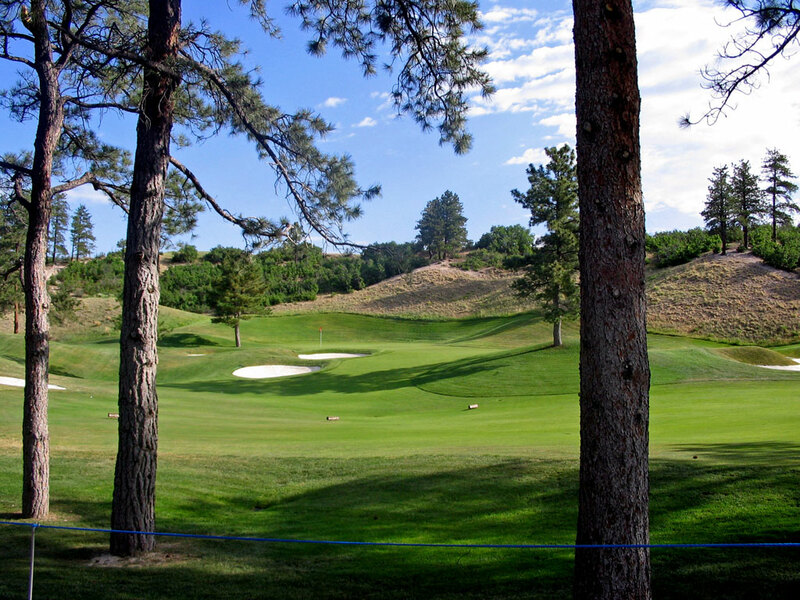 At 458 yards it is the longest par four at Sanctuary and features a death trap of trees and severe terrain on each side of the fairway. In addition, the further you hit your drive the tighter the fairway gets. Therefore it becomes a difficult situation in needing to get as much length off the tee as possible while still not jeopardizing your ability to stay in play. Hit it long and straight, otherwise you are going to get a ticket on the bogey train.